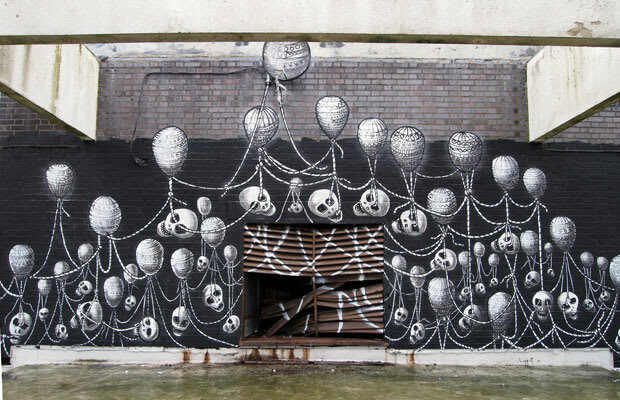 Phlegm is a rather mysterious artist from Sheffield, England. Trained in comics, the narrative structure of Phlegm's murals has a constant dark humor. In 2011, Phlegm was everywhere painting all the major street art festivals and turning Sheffield into a personal playground. Additionally, Phlegm released a charming little alphabet book… a must have for street art collectors.